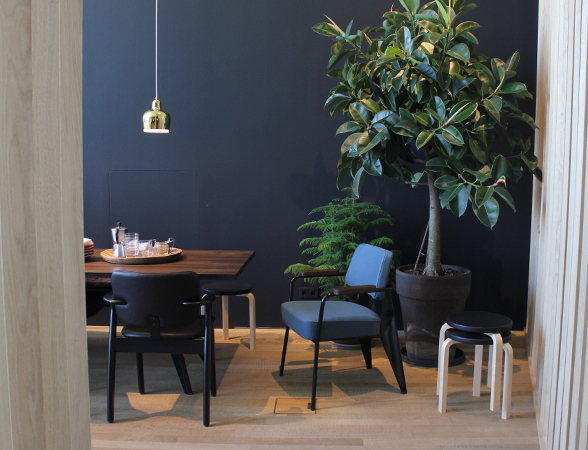 Our Sales Assistant Chelsea Ellis takes you on a virtual tour of the VitraHaus to discover how the recent Artek/Vitra partnership is taking shape. I was extremely lucky to get the chance to visit the VitraHaus a few weeks ago, just after the new Artek floor had opened. 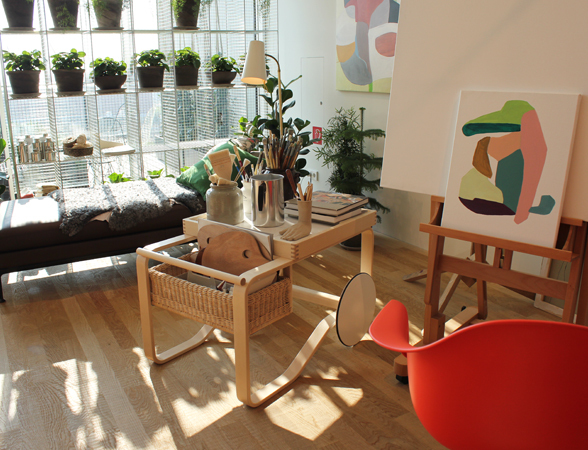 Located on the top floor of the VitraHaus, with panoramic views of the campus, this really was the best place to show off Artek's beautiful designs and to celebrate the new collaboration between the two iconic brands. 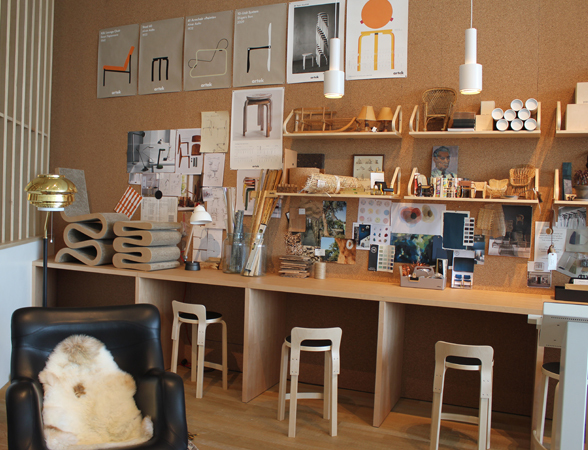 For those who aren’t aware, on the 6th September 2013 the Finnish brand Artek became a member of the Vitra family. As two modern design brands with shared values and mutual respect, the partnership is an exciting one for both parties. 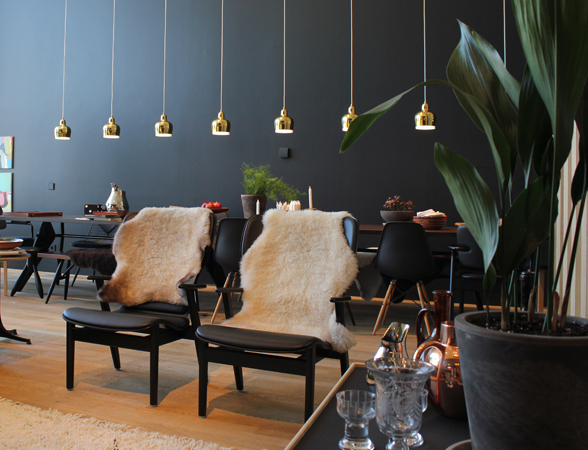 A trip to the VitraHaus was the perfect location to see just how well these two brands are working together – we hope you enjoy the virtual tour through the newest room in the Haus! 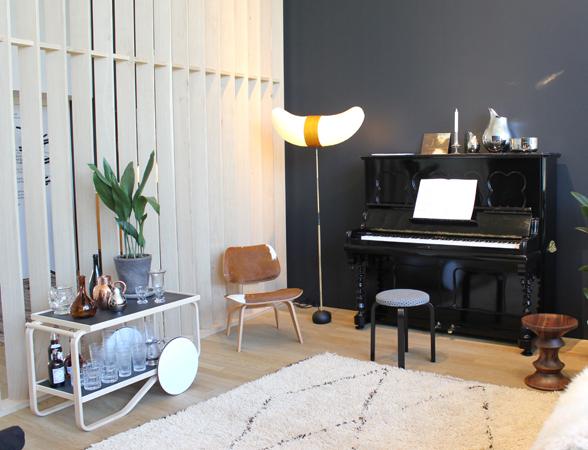 Located on the fourth floor of the VitraHaus, the new Artek-centric floor felt like stepping into the effortlessly cool apartment of a musician or artist. 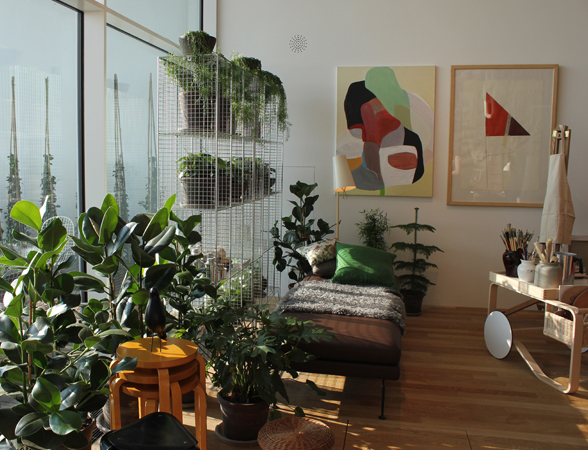 I love how they combined vintage Artek products with modern pieces, classic Vitra designs as well as an eclectic selection of paintings and plants, it all felt so natural and comfortable, I could instantly see how Artek products could be introduced into your own home. As you stepped into the floor you walked into an entrance hall, which set the tone for the rest of the space perfectly. You were greeted with the Artek 160 Clothes Tree in black designed by Anna-Maija Jaatine, a piece so simple, beautiful and, as with all of Artek's products, useful. 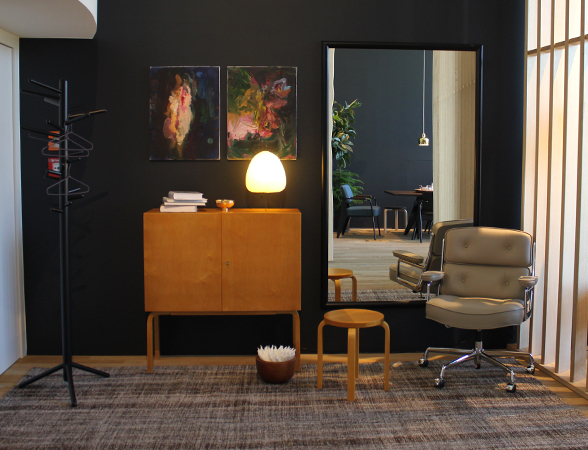 It was combined with dark walls, colourful paintings, a vintage Alvar Aalto sideboard, the ever useful Artek Stool 60 by Alvar Aalto and the gorgeous Vitra Eames Lobby Chair ES 104, which is so comfy! 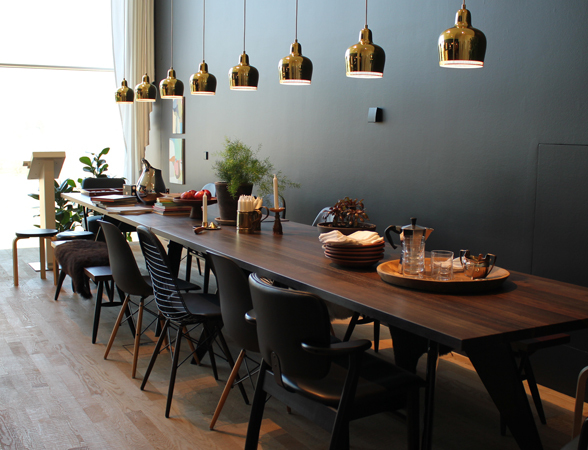 Above the dining table hung the Artek A330S Golden Bell Pendant Lamps by Alvar Aalto which looked spectacular in a group. Plated in luxurious brass, these would look amazing in any home. 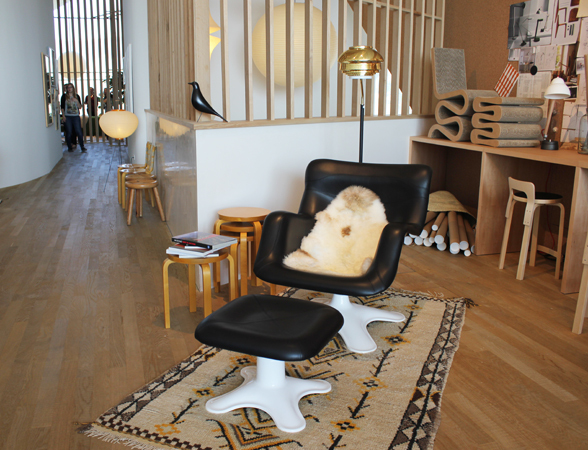 Behind the dining area was where one of my favourite pieces from my visit was situated, the Artek Domus Lounge Chair upholstered in leather, as seen below clad with a sheepskin. Designed by llmari Tapiovaara the Domus Lounge Chair not only looks beautiful but also is one of the comfiest chairs I have ever sat on. 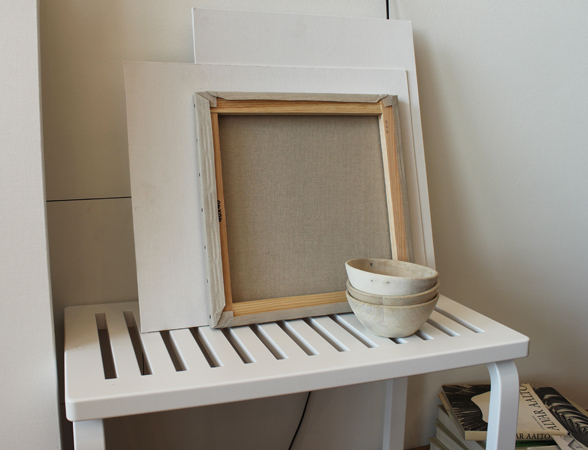 Another personal favourite of mine is the Artek 901 Tea Trolley designed by Alvar Aalto. As with much of Aalto's work it features a minimal functional design, which is simple yet beautiful. The 901 Tea Trolley can be used for many different uses, I love this set up as a bar for entertaining though, and surely every home needs one of these to hand! The Artek Armchair 402 by Alvar Aalto was situated in the interior lobby and looked gorgeous in black with black and white upholstery, we at Nest.co.uk do love a bit of monochrome! As you walked down a corridor lined with paintings you were met with another amazing room, with full height windows and yet more amazing views of the campus. I loved the mix of colours and textures in the living room area, with the Artek Ovalette Coffee Table designed by Ilmari Tapiovaara situated amongst the Vitra Fauteuil de Salon in blue-grey, a Suita Sofa with a high backrest and Artek 915 Side Table in black by Alvar Aalto. It was the Artek Stool 60 Special Edition by British designer Tom Dixon that stole the limelight though. Tom Dixon was Artek’s creative director from 2004 until 2009 and was chosen alongside a list of other designers to create a special edition of the Stool 60 as part of the celebrations for it turning 80 last year. Tom Dixon explained the colour choice as ‘…the simplest way to draw attention to this ultra-simple piece of classic minimalism which is well known that often people don't notice it anymore.’ I would say that his plan worked, as I certainly couldn’t take my eyes off it! Another classic Aalto design included on this floor was the Artek Bench 153A, situated at the piano covered in a sheepskin, and the Artek Bench 153B, seen here in white. Both were designed in 1945 but still look modern and contemporary. Towards the end of the room was a gorgeous space, set up as an office/studio, the light poured in to this area and showed off the furniture beautifully. 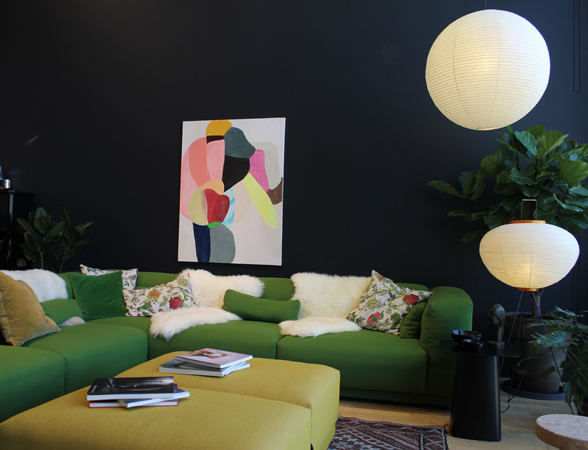 I could have quite happily laid on the Vitra Suita Day Bed all afternoon and whiled away the hours. 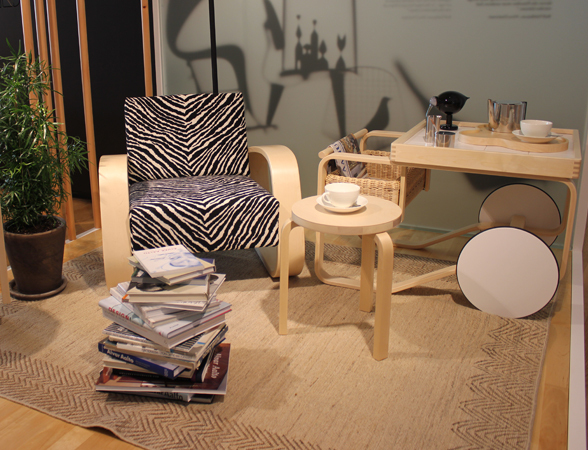 The Artek Tea Trolley 900 designed by Alvar Aalto also looked amazing and showed how useful this product is for your home. 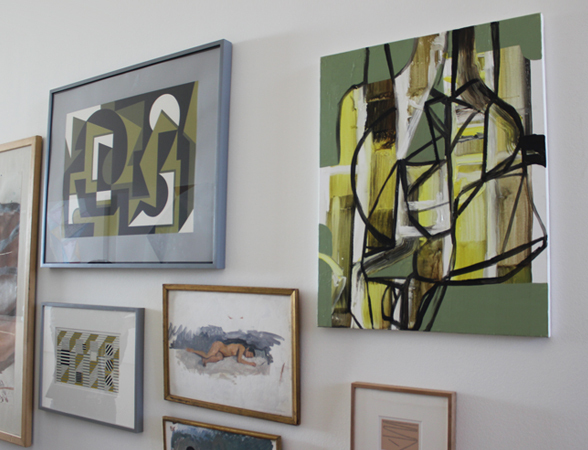 Another favourite element of this space was the feature wall which covered the whole left hand side of the room. 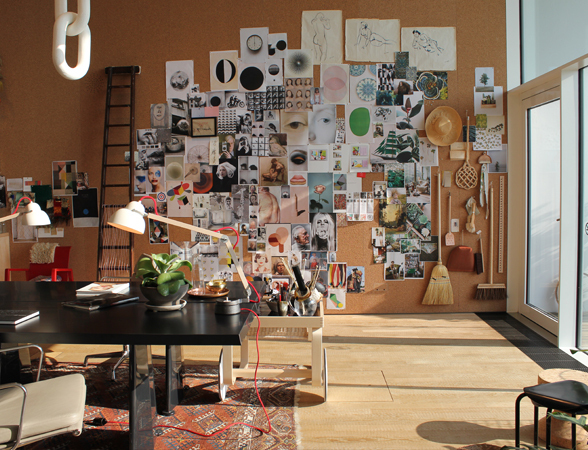 I love this idea, it’s a perfect way of providing inspiration to any home office. 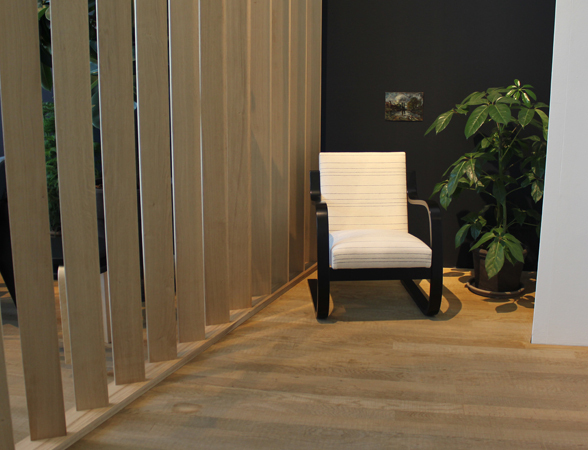 The Artek 41 Paimio Armchair by Alvar Aalto made the perfect reading spot, especially when combined with the Vitra Nelson Bench. 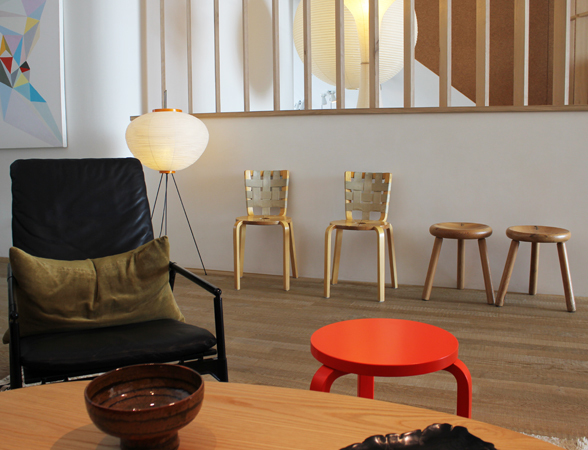 The minimalistic Artek 112B Wall Shelves looked amazing on the feature wall, together with the line of Artek A110 Hand Grenade Pendant Lamps and Artek K65 Bar Stools, all by Alvar Aalto. 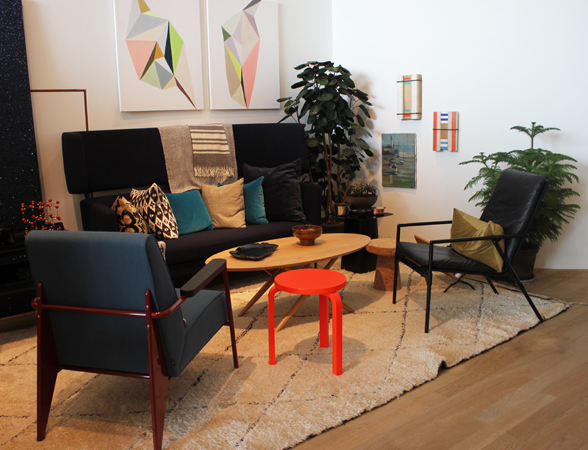 Finally the star of the show, for me anyway, was the Karuselli Lounge Chair and Ottoman. 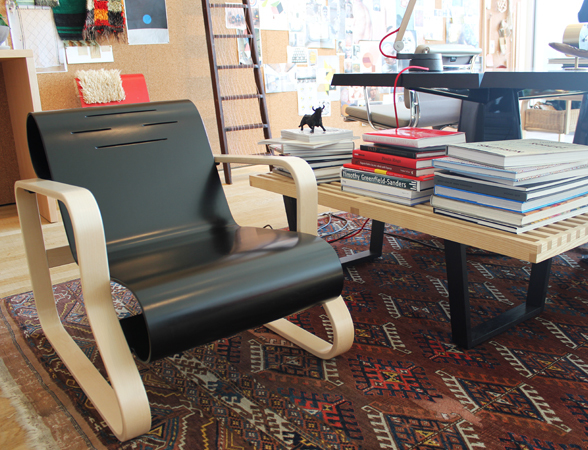 Designed by Yrjö Kukkapuro in 1964 it was re-released by Artek late last year. It has to be one of my absolute favourite designs, almost futuristic in its presence yet none of the comfort has been sacrificed for its striking design. It is truly amazing to lay in! 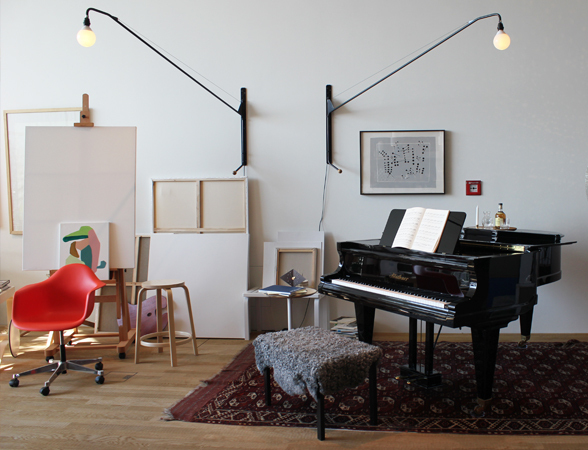 Seen here with the gorgeous Artek A808 Floor Lamp in brass. 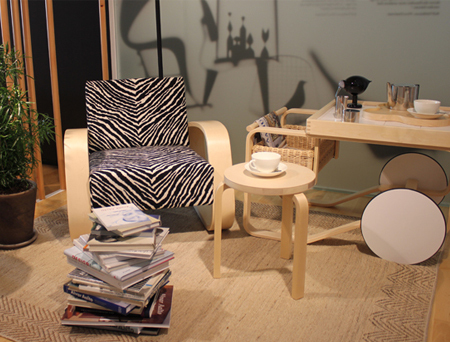 I hope the above photos provide inspiration on how you could include Artek products into your own home. We at Nest.co.uk welcome Artek to the Vitra family and look forward to seeing the future for these two iconic brands, united by design.